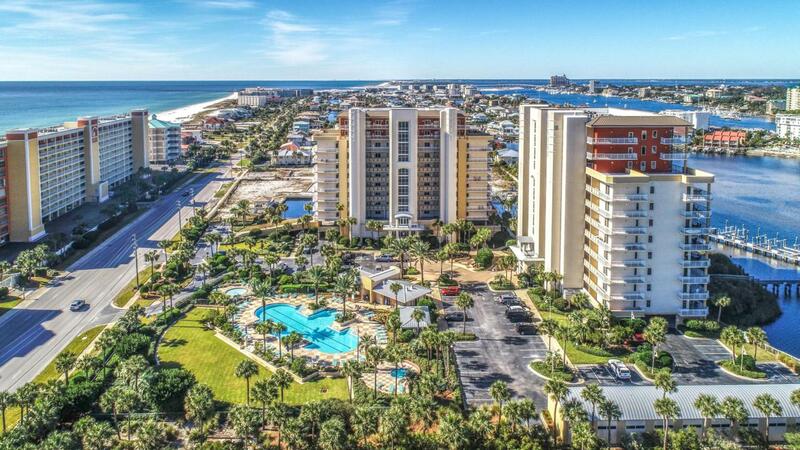 Incredible Panoramic views of the Gulf and Harbor from this Beautiful 3 Bedroom condo at Harbor Landing. There is a 40' boat slip available for separate purchase. Harbor Landing is a gated community featuring deeded beach access, a tropical resort pool with zero entry, a nicely landscaped owner's pool overlooking the harbor, and a fitness center. The kitchen has granite counter-tops, is open to the large spacious living room, and breakfast bar.The master suite has direct access to the large balcony. Located on Holiday Isle, this unit will make the perfect vacation rental or full time residence. If you are looking for a newer condo with beach access , this is it!